Raised bogs and transition mires are situated within the flood plains of the Jizera River Valley, in the central part of the Jizera Mountain, following the Czech-Poland state border. 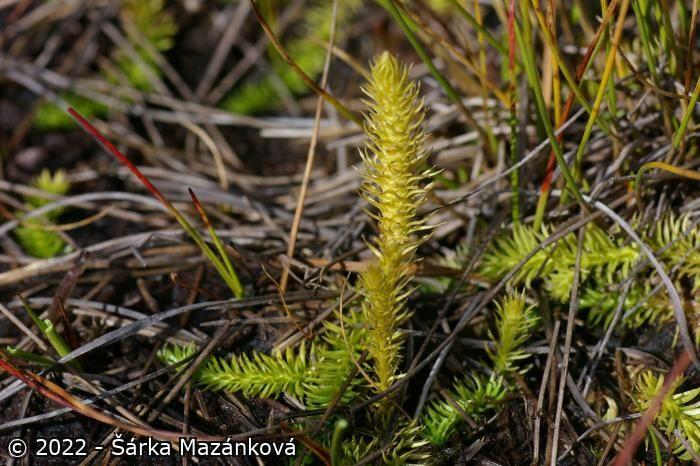 Dominating vegetation of raised bogs are non-forest communities and spruce forests. Variable morphology of raised bogs establishes from frost and wind erosion. There are oblong, wet gaps and ditches and dry elevated peaks, which are very similar to the features of the north Scandinavian mires. Species poor fens border the raised bogs. Mire vegetation has subalpine tundra character hosting combination of arctic, subarctic, arctic-alpine and circumboreal species. These ecosystems serve as postglacial refuges for unique vegetation and fauna. 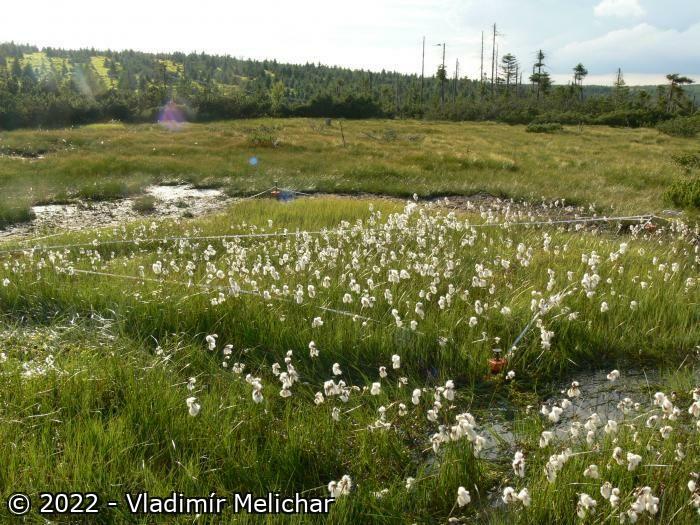 Locality includes one of the largest characteristical raised bogs complex in the Czech Republic and in the temperate Europe. Because of the political borders, Czech raised bog complex is adjacent to a large similar one in Poland (where Ramsar Site is under preparation in close cooperation with the Czech proposal). Horní Jizera is located on the slopes of the Jizerské Mountains in the West part of the Sudety Mountains. Eastern part is situated within the flood plains in the upper Jizera River Valley of a large shallow concave form in approximately 850 m a.s.l. surrounded by the mountains. This morphological structure is unique within the Sudety Mountains and rare in temperate region. Western part is situated in a pass between three mountains in 920 – 1035 m a.s.l. Bedrock is acidic granite rocks. Ground waters are poorly mineralized, oligotrophic with pH ranging from 3.5 to 7.0. Ombrotrophic habitats dominate the Jizera River Valley. 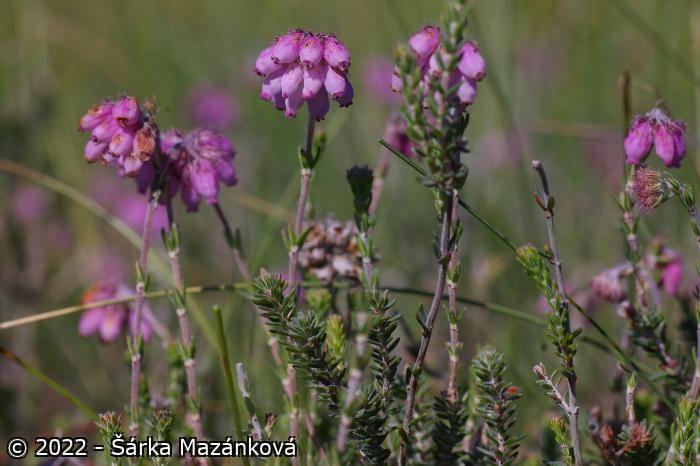 Open areas in raised bogs are overgrow by non-forest communities of Oxycocco-Sphagnetea (Eriophoro vaginati?Sphagnetum recurvi, Sphagnetum magellanici, Sphagnetosum fusci, Sphagnetum papillosi, Eriophoro-Trichophoretum caespitosi, Sphagnetosum compacti, Gymnocoleetosum inflatae), and of Scheuchzerietalia palustris in the wet parts (Caricetum limosae, Scheuchzerio-Sphagnetum cuspidati). These communities overgrow the flat surfaces at the tops of raised bogs. They are surrounded by shrubs of Pino mugo-Sphagnetum. Large areas of raised bogs are overgrown by spruce forests growing on peat – vegetation of Vaccinio-Piceetea (association Sphagno?Piceetum) with the typical following species: Picea abies, Molinia caerulea, Eriophorum vaginatum, Oxycoccus palustris, Vaccinium uliginosum, and Sphagnum species: Sphagnum fallax, Sph. angustifolium, Sph. nemoreum, and Sph. russowii. There are transitional poor fens dominated by vegetation of Caricetalia fuscae (associations: Sphagno recurvi-Caricetum rostratae, Junco filiformis-Sphagnetum recurvi, Caricetum fuscae (=nigrae ) subalpinum, Eriophoro angustifolii-Sphagnetum recurvi) in stream and river valleys and in borders of raised bogs. Transitional mires are also surrounded by spruce forests of Vaccinio-Piceetea. There can be found many small additional fens scattered within these forests. 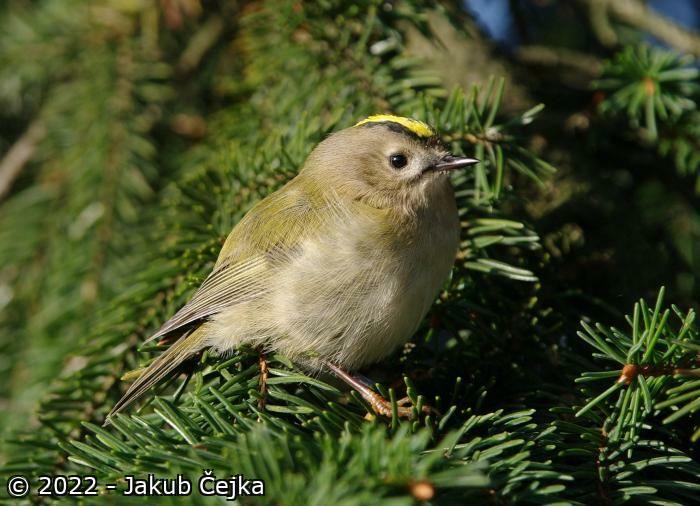 Typical animal communities associated with mires and peatswamp spruce forest habitats are well developed, including glacial relict species. Communities are typical especially with invertebrates and birds. There is touristic and forestry use. The main dangerous impacts are air pollution and drainage for forestry use. Bogs and mires water is supplied by precipitation and ground water – very active underground water fluxes (from primeval and derivative sources) were measured near streams and rivers. The Jizera River catchment is part of the Elbe River catchment, and therefore a part of the North Sea drainage area. 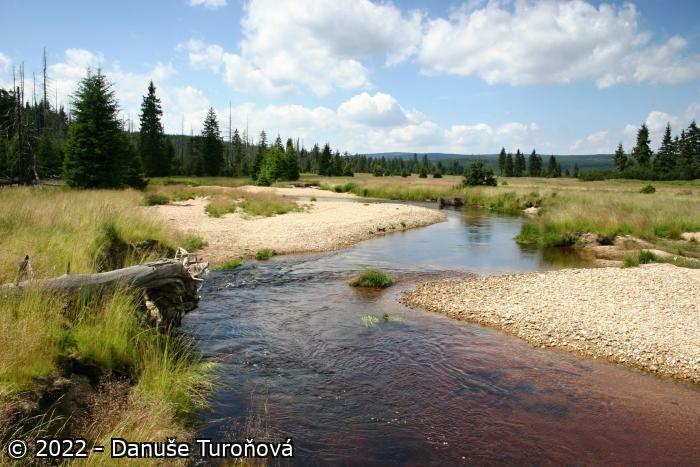 Bogs and mires are part of European hydrological system within the Sudety Mountains, and they are the source of water for the Jizera River. A natural character of the Jizera River is preserved in the upper part of the valley with many meanders cuting deap in the peat layers, and forming shallows and large gravel beds. Great part of the area is used for forestry. Parts of the site are used for recreation, however majority of tourist use is concentrated in less valuable habitats and marginal parts. To attract some localities and raise public awareness a touristic infrastructure has been done (i.e. nature trails at the Rašeliniště Jizerky and Klečové louky peatbogs, tourist tower at the Na Čihadle peatbog). Nationally rare and threatened species: Andromeda polifolia, Arnica montana, Baeothryon cespitosum, Betula carpatica, Carex diandra, Carex limosa, Carex pauciflora, Dactylorhiza longebracteata, Drosera rotundifolia, Empetrum nigrum, Erica tetralix, Juniperus communis subsp. alpina, Ledum palustre, Lycopodiella inundata, Lycopodium annotinum, Menyanthes trifoliata, Meum athamanticum, Montia fontan, Oxycoccus palustris, Pedicularis sylvatica, Pneumonanthe asclepiadea, Potamogeton alpinus, Scheuchzeria palustris. Regionally rare plant communities: Sphagnetum magellanici, Sphagnetosum fusci, Eriophoro-Trichophoretum caespitosi, Pino mugo-Sphagnetum, Caricetum limosae, Scheuchzerio-Sphagnetum cuspidati, Caricetum fuscae (=nigrae) subalpinum. Invertebrates – Spiders: Arctosa cinera – species dependent on river gravel beds, one of only three known localities in the Czech Republic. Meioneta milleri – discovered and described from the Rašeliniště Jizery peatbog as a completely new species in 1997.Beetles: Pytho albieticola and Pteroloma forsstroemi – typical glacial relicts, nationally rare. Fly: Scatophaga jizerensis – found and described from the Rašeliniště Jizery peatbog area in 2004 as a completely new species. Rare tyrfophilous dragonflies Leucorrhinia dubia and Somatochlora alpestris. Birds: Black grouse (Tetrao tetrix) – mires are especially important for sheltered reproduction and as lekking grounds, the black grouse population in Jizerské hory represents approx. ? of the national population, endangered. Common crane (Grus grus) – two or three pairs regularly nesting sites since 2000 (including Polish border area), critically endangered. Tengmalm’s owl (Aegolis funereus) – one to several pairs regularly nesting depending on the season, both in natural cavities and provided nest-boxes, endangered. Common Rosefinch (Carpodacus erythrinus) – regionally important regular nesting site of several pairs, endangered. 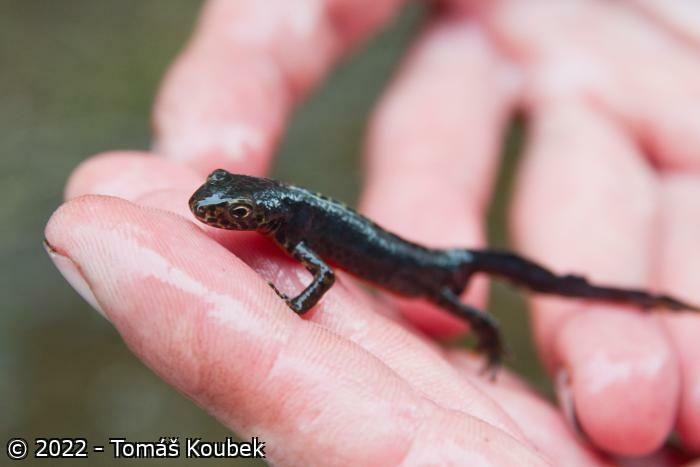 Amphibians: Alpine newt (Triturus alpestris) – regular occurrence and reproduction in water bodies within the area, endangered. Mammals: Alpine shrew (Sorex alpinus) – typical glacial relict, regular occurrence, regionally important, endangered. Otter (Lutra lutra) – has colonised area during last few years, presently regular occurrence, area is very important as a migration corridor connecting the Jizera River system with the Smědá River catchment in the north, endangered. Zoological and botanical monitoring, hydrological surveys at the Rašeliniště Jizerky and Rašeliniště Jizery peatbogs, hydrological revitalization at the Rašeliniště Jizerky peatbog, management in non-forest areas and measures in forest. 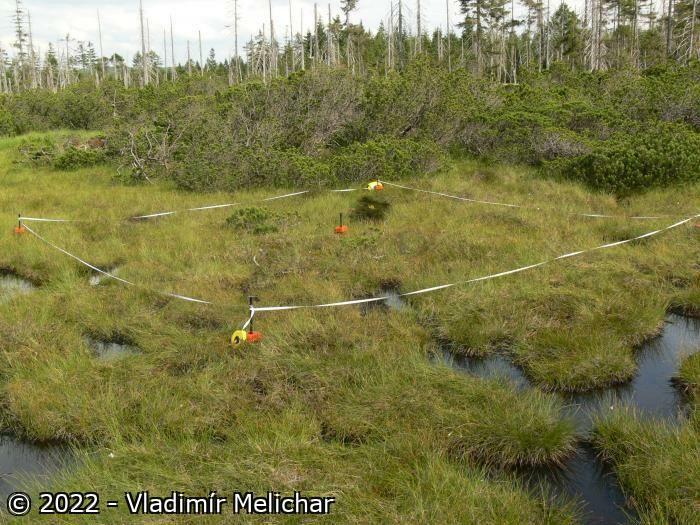 Permanent monitoring plots were fixed within the Bog woodland (91D0*) and Active raised bogs (7110*) habitat types for long-term monitoring of these habitats. Marginally used for recreation and tourism, slightly higher touristic use is in areas of Jizerka – Smědava, Čihadlo- Klečové louky (tourist paths). Mostly cycling and hiking, in winter cross-country skiing. Great majority of these activities are confined to existing tracks within the area. The site meets criteria 1, 2, 3 and 4.